UPDATE: This article was published back in 2017 and no visas have been introduced for US citizens since then. I don’t think that there should be any worries regarding potential visa needs for US citizens interested in visiting Romania for up to 90 days. UPDATE 2: It seems that I rushed to edit this article. Apparently, there are some changes coming soon – expected to hit in 2021. I detailed them in a new article here. If you want to read the original article published in 2017, you can do so below. US citizens are allowed to stay in Romania and other European Union countries for 90 days within a 6-month period of time without the need of a visa. However, things might change starting this summer as the European Parliament asked the EU Commission to impose visas on US citizens visiting any country in the European Union – including Romania. At the moment, the citizens of five countries in Europe require a Visa in order to enter the US: Romania, Bulgaria, Croatia, Cyprus and Poland. However, since the countries are part of the European Union and there is a Visa-reciprocity system in place between the EU and the US, all the citizen of the member states should be allowed to visit without a Visa. The US has been notified about this non-reciprocity problem more than two years ago, but things have not changed. Therefore, the EU parliament voted by a show of hands to adopt the required legal measures and introduce Visas for all Americans willing to enter and visit Romania (or any other country that’s a member of the European Union) within two months. You can check out the official press release on the official European Parliament website here. Back in April 2014, the EU found out that five countries were not meeting their obligations regarding Visa-free entry: Australia, Canada, Japan, Brunei and the US. The first four countries made the required changes – with Canada being the last to join the party by announcing that they will lift Visa requirements for Bulgarians and Romanians starting December 2017. However, the US has no plans to lift their Visa requirements for the aforementioned EU countries, so the European Union seems to have no option but to take measures and introduce visa requirements for all US citizens. Although we could definitely say that this is a fair and square approach, things are not as easy as they seem. 2. The European Union might record losses in travel money or from investors who would elsewhere in the world. These two things, of course, are not seen well by the majority of EU countries, especially since Romania, Bulgaria and Poland (three of the five countries whose citizens are required a Visa to visit the US) are not the most popular European Union countries either. So it is not really sure if the European Union is just trying to force the hand of the US to grant Visa free entry to all EU citizens or they’re really planning to stick to the vote of the Parliament and force US citizens to get a Visa before getting to Romania. If it’s the latter, then these things should happen as soon as May 2017 and I don’t even want to think what that would mean as a big picture. I am a Romanian and I definitely feel that, since there’s a Visa-reciprocity treaty in place between the EU and US, then it should actually work both ways and have Romanians allowed Visa-free entry in the US, not just the other way around. I am sure that members of the other four countries that are on the US’ blacklist feel the same. However, more harm might be done if Visas are reintroduced and on such a short notice. It’s not clear what would happen to all the US citizens that are already in the European Union or those who have planned trips to the EU this summer. In a world where free travel and free access anywhere is the goal, starting to draw lines once again and limit access, limit the flow of people, ideas, friendship, culture… this would put a stop to progress and bring out the ugly side of humans – which is something we don’t need more of today, when they ugly side is starting to be felt more and more often. Ideally, the US will understand the situation, stick to the deal they signed years ago with the EU and remove the Visa requirements for the citizens of the five countries mentioned above. Most likely, though, this won’t happen since they had almost three years to do it and things haven’t changed at all. And this would be a bad example for the entire world. With all the strife in the world, maybe it’s better there is not so many open borders and transit. on a vacay, and have to have multiple visa (visae?). So how’s the weather been in Romania? I mean if Hawaii has a mega snow blizzard, anything is possible. Has all the brouhaha died down over the corruption laws being changed? Has the issue been settled? The weather is nice in Romania, spring is starting and we’re enjoying a nice spell with lots of sunshine so far. The protests have slowed down quite a bit lately, but everybody keeps their eyes on those at the helm. Turn-about is fair play, as they say. Imagine how we would feel if the EU said, well, Californians and New Yorkers could come in visa-free but not Texans and West Virginians! The USA already has a sneaky $14 fee that every tourist to the States has to pay, ostensibly for all the new airport security staff that was hired after 9/11. I have to pay it for my Japanese wife. I’m surprised the EU doesn’t charge Americans $14 in reprisal. And I would think one visa for the whole EU area would be issued to Americans, there wouldn’t be a need to get separate visas for each EU country visited. Wow I saw this and glad I am beating the deadline (for this year at least) as I will be in Romania this spring. Interesting development but I was surprised last year when I found Romanians needed a visa to visit the US. With all the military cooperation between Romania and the US (Poland as well) I am surprised Romania and Poland have not asked for this before (maybe they have). I really doubt that a Visa will actually be required, even starting this summer. If nothing changes, they will probably decide to start implementing this one or two years for now, giving them time to reconsider and hopefully the US will lift the Visa requirements within this time frame. This news won’t alter my personal plans to retire in Romania this summer, marry my fiancé, and tick off all the items necessary to obtain long-term residency. I hope, however, you are correct in you speculation that the EU will create a single visa permitting travel within Europe. I would hate to have to deal with all the inevitable bureaucracy when we ultimately travel out from Romania’s borders. Unfortunately, I don’t see the current US administration having much concern for equal treatment for anyone traveling from Europe. Donald Trump’s isolationist attitude, and recent attempts at a Muslim travel ban indicate he would most likely use this opportunity to paint the citizens of the five nations as just more immigrants with designs on taking American jobs. Also, Trump’s cozy relationship with Putin would be another reason to smear the relationship between the US and the EU. This past week I noticed a number of right-wing propaganda outlets, such as Breitbart, spinning a British “report” claiming “half of Romania and Bulgaria” may move to the UK prior to Brexit. It seems apparent that these outlets are attempting to use this information to foster and legitimize the fears of certain xenophobic Americans. Honestly, Calin, I’m not a ranting conspiracy theorist. It’s just that it seems like things are getting weird. Things are surely getting weird and indeed the Trump administration doesn’t seem like the best one to discuss these matters with 🙂 It just happened that the deadline for Visa talks was long gone and they were forced to start doing something. Regarding the immigrants moving to the UK, similar outrageous reports appeared a few years ago when the media was also expecting entire nations to flood to their country after lifting working permits (or something similar, I don’t remember). There was a huge stir in the media, they launched a series of documentaries called “The Romanians Are Coming” and in the end, it was nothing than stuff journalists do to get some extra attention. I remember reading some funny articles from reporters who were waiting in train stations and airports on the 1st of January, when the expected flood was supposed to happen and… nobody came. Now that the British Pound is in a horrible state and things will probably get a lot worse in the UK before getting better, the Romanians interested in getting away from the country (and it’s still a ton of them, unfortunately) are looking at other options. I live in the US and agree people from EU countries should be able to travel visa free to the US for 90 days at a time. Do you realize this visa issue happened during Obama’s administration? Obama was president up until about 6 weeks ago and completely ignored this. Are you blaming Trump for this? What exactly do you mean by EU and US relations are bad because of Trump? Thats a fairly broad, blanketed statement to make with no facts at all in your post to support it. I thought relations between Europe and the US are great? If our relations fell apart in the past 6 weeks because of Trump, as you suggest, then EU and US relations must not have been very great to begin with that they fell apart in 6 weeks. Is Europe upset that Trump finally wants them to live up to the NATO agreement by spending 2% of GDP on military to protect themselves from Russia and others, including the muslim terrorists that Europe (mainly Germany) invited in? Is Europe upset that the US finally has a president who wants fair trade deals? Instead of the current deals where American companies pay higher tax rates to sell their products in the EU, than EU companies have to pay to sell their products in the US? If so, I can understand why the EU doesn’t like that, but thats no reason to hate Trump for wanting a fair deal. Despite all the lies about this supposed connection between Trump and the Russians that even the FBI under Obama said doesn’t exist, (Obama would know since he tapped Trump Tower during the election) and Trump trying to increase NATO spending to protect Europe from Russia, there’s certainly a lot of conspiracy theories with no evidence at all people like to post online about Trump. Trump didn’t implement a “muslim travel ban”, he issued a 90 day temporary travel restriction on 7 countries the Obama administration said didn’t have proper procedures in place to vet people. Obama placed more travel restrictions than Trump has. I just find it odd that everything gets blamed on Trump when he’s been president for about 6 weeks. Trump has made several attacks aimed at the European Uninon and European Union countries in the short time since he’s President of the US and as a result, the relations between the two blocks are not at an all time high, as I was saying. Just as Jim said in his comment above, Trump’s attitude will surely not help this matter get solved quick and easy. Things are not blamed on Trump – the Visa problem has been noted since 2014 – but definitely the current president won’t make things easier to deal with. And there’s not a hate reaction from the EU either – they would’ve had to do this no matter who was in charge. Well, I understand it may be naive, but I’ll share my idyllic scenarios for international travel, or at least between basically first world countries. That said, I understand there would have to be tighter restrictions because of the possibility of rare diseases, terrorist ties, proof of adequate finances, etc from certain countries which would require stricter procedures. But I’d love to see even an annual visa become a fairly simple process and pretty straight forward if you’re from U.S., Canada, Mexico, Central America, South America, all of Europe, Australia, New Zealand, Russia, Japan, and many others. If you could pass a international criminal background check, a complete physical health exam/screening, and able to provide proof of job or adequate income to support yourself in the country you’re planning to visit, you should be good to go. That said, trust me, I’m not a fan of Trump, but I do believe in tighter border controls regarding refugees. I have no desire to keep them out, just slow the immigration process to allow more thorough vetting procedures before entering your country. I have a friend in Germany who has witnessed refugees coming in at the border with virtually no vetting at all. There has to be a more effective compromise between completely open borders and many on the right’s desire for essentially a Muslim ban. Btw, if the visas end up being for each country as opposed to all the EU, it will limit many travelers practical vacation plans to just one or two countries, whereas they might have visited half a dozen or more. That outcome could still happen if for some reason the EU were to break apart in the next few years, which is still a possibility after Brexit, and with other right leaning candidates across Europe who also favor exiting the EU conceivably coming to power. Now, regarding my situation, the plans I had to possibly travel around Europe for a while before settling in Romania some time next year may have to change if visas become necessary for each country. Therefore, I am especially anxious to see what changes are ultimately decided after the dust settles. And finally, Calin, thanks for the valuable information in this article. JC, I don’t think you should change your plans at all. As I was saying in a comment above, even if they do decide to introduce Visa for US citizens, I am sure it will be something similar to Brexit and it will happen in a couple of years – and there would still be time to change things and right the wrongs during this period. Thanks Calin, I hope you’re right! ? I agree that donald trump is not the best choice in office to broker a more open travel policy with any country. He is an isolationist. Obama failed miserably in getting this done as it is a no brainer. Why be a member of the EU if you not going to get the benefits but you will get all the bills. I never understood why these countries were treated differently. The media I loathe has created the image that people from these countries are undesirables and the rest of the world believes it. Done raging.. Solution is the U.S. needs to treat all EU countries equally or bust them all up and treat each one different. What happened to all humans created equal? Whatever..raging again. This will not be good for U.S as i see our business companies sending a lot more people to Europe than the other way around. Tourism will be harmed but i think big business is going to hate this on both sides. I agree that we need a simplified vetting process that somehow treats people fairly and that last part will be the great challenge. I have always believed that the EU would fail as it was just too complicated with such a large diversity of different nationalistic beliefs it would be impossible to pull off. The U.S. should have solved this long ago. It is sure to hurt U.S. travelers much more than the 5 countries Europe is finally standing up for. Hard to say how this will play out as the United States will be on an island as the only one not complying. IF they get equality on visa perhaps they will get reciprocity on retirement benefits? Sure would like to see Romania accept U.S. social security like the other major countries of Europe do. Currently I believe most major European countries observe the country providing the benefits tax policy. So here in U.S. our social security is not taxed however in Romania it will be taxed. I have some fantasy that if we get visa reciprocity perhaps we will see retirement reciprocity as well. Good luck to all dealing with political insanity unfolding these days. Need to clip the media’s wings in my opinion. Perhaps all journalists should have to sign a code of ethics before picking up the pen? Otto, It’s interesting that the only thing the left and right have in common these days, is a severe mistrust of the main stream media! The left blames them for being so wrong about the election, lulling everyone into a false sense of security that Trump had no chance, and the right believes the media slants everything Trump does or says in a negative light. Having relatives on both the left and right, made for interesting holiday family gatherings I can tell you! And Otto, you have revealed something that I can’t believe I hadn’t heard of till now. Are you sure that Romania taxes our Social Security? Also, do you know of a central source to see which countries do and do not tax S.S. benefits? This is not good news for me. That could alter my plans as I’d have to see how much it affects my bottom line, being that the goal was live solely on S.S. without having to dip into my savings,(except for emergencies), etc. That said, I do however know for certain there are a number of countries that don’t tax it. Also, as much as I was not a Trump supporter, I really hate this severe friction and infighting between the right and left going on now, with everything from violent protests, random attacks on those for the other side, and scary policies being discussed and debated. This doesn’t seem like it’s going away any time soon either, and regardless of the fact I was planning to leave the country anyway, all of this stuff going on makes America feel like a very difficult place to enjoy a peaceful existence for a while, and I don’t see any likely improvements for the next four years. If anything, all of this is just speeding up my plans to leave as soon as possible. I’m not tax authority, but my understanding is that even though Romania and the US have and agreement to not double-tax one’s income, residents of Romania following the first 12 months living in the country are required to pay taxes on world wide income, regardless of the source. This means retirement pensions are taxable at Romania’s 16% flat tax rate. No offense, but I hope there is some loophole to avoid paying 16% of my annual S.S. benefits in taxes. Otherwise, that could be a deal-breaker for my plan to settle in Romania. I have some people I can contact tomorrow to hopefully try to find a way to get around that if is, indeed the case. Thanks for the info though. Please report on what you find out, JC. I’d love to be wrong. One more thing… from what I’ve read, Romania’s tax rate is one of the lowest compared to most other countries. Those that don’t tax pensions include Panama, Costa Rica, Malaysia and Belize. As for me, the low cost of living and the European environment… not to mention the Romanian fiancé, will keep me on track to retire in Brasov. I have copied and pasted this from the American IRS website section on “double tax treaties”, specifically the treaty agreed between the USA and Romania in 1973 and still in effect. Mind you, I’m not a tax expert, but this would seem to be pretty straightforward, coming from the “horse’s mouth” so to speak. JC i am hoping that I am wrong but I believe it is 16% on all income regardless of source for Romania. That said.. i am planning to do all of my funding via U.S. banks and i am pretty confident Romania would have no way of knowing how much income i have. But i sure would like to hear other peoples ideas on this issue. Not sure what European countries do not tax our Social Security but i do believe most do not. It is that reciprocity thing between EU and U.S. that basically says the country you live in will observe the tax policies of the country you earned your income in and not tax you twice. I am hoping at some point Romania receives the same treatment as the other EU countries and in turn Romania honors the same tax policies as well. I believe it will happen in time. 16% is a big hit but you still end up saving a lot but that is thousands of dollars a year in taxes. I have not spoken with a Romanian tax professional yet. My wife believes we will NOT pay taxes on our social security but she is not 100% sure. She believes that Romanian tax law states “pensions” will not be taxed. Feel like a 50/50 on this question. I have read carefully and from what i can find in writing on the internet we technically WILL have to pay the 16% tax. I am searching for ways out and will share the answer when we officially get it. I will have her parents ask but I am hearing it will be hard to find somebody that can actually answer “do Americans have to pay taxes on social security if they are residents of Romania?” It is just an odd question that not many would know the answer too. Of course we should have plenty of people living in Romania drawing Social Security that read this post and perhaps could answer this question. Or perhaps the U.S. embassy could? Look forward to getting the “FINAL” answer on this question. Well, it sounds like something that we’re all interested in finding out more definitive answers. I have friends that have contacts with Social Security Administration, and another with ties to foreign based U.S. Embassy activities. Between the two, I’m hoping they can get a more up to date and official answer. Whether having some kind of retirement savings or income from Social Security, it seems this info has to be shared with Romanian officials when acquiring your business long stay visa, in order to show ability to financially support yourself while living there. Regardless, between the three of us and hopefully, a possibly retired U.S. expat already living Romania, who may read this, we’ll find out more. Unfortunately, I don’t even know any expats currently living outside the U.S. yet, though several who plan to move soon, but those mostly to Central and South America. 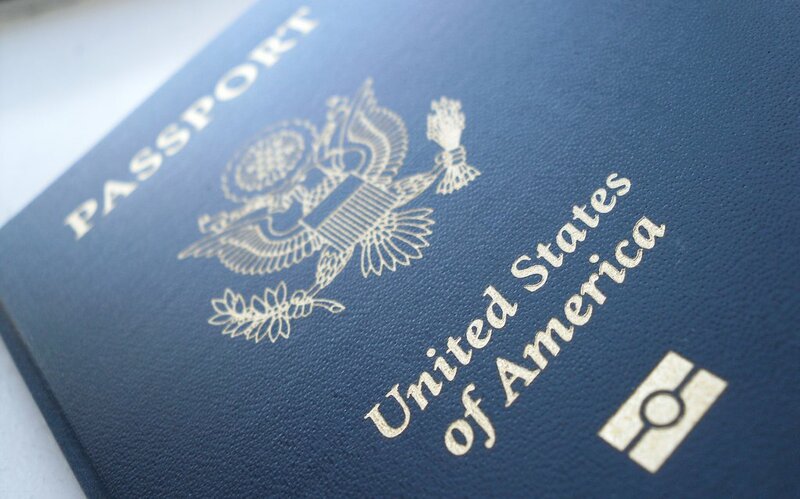 Many are planning initially to live part of the year abroad and part back here in the states. They seemed confident that if didn’t pay taxes here, that they wouldn’t be required to pay them where they were spending the other six months out of the year. As you know, only 13 of the 50 states tax S.S., and fortunately I currently live in one that doesn’t. Thanks guys, it may take a few days, but let’s keep each other posted. For some reason, I’m beginning to think it’s not a simple answer and could be bit of a gray area, partially based on how you handle your finances. We shall see. Calin: Help us poor Americanos understand the income tax situation, please. Inquiring minds want to know! It would truly s*ck having to pay both US and Romanian taxes (no offense, bro)! How’s “Calin Jr.” doing? Are you teaching him English–ha, ha! As far as I know, you can’t get double-taxed in Romania on any sort of income, including pensions. I’ve been really sick in the past several days and couldn’t do real investigation, but I looked over some papers and there’s nothing to make me believe that anybody would get double taxed on social security from the US. I agree with you. It is only fair that the U.S honors the commitment. I find it insane that 5 countries were excluded. Not fair at all. Like Jim, l feel the world is definitely getting weird and we are headed for disaster. It would have an effect on long term travelers for sure, like those who do 90 day stays. There is already a drop in travel to the States thanks to all the shenanigans of Junior Voldemont?. I know a lot of Nigerians even before that got tired of being rejected for visas and now choose to spend their considerable wealth in Dubai. All we can do is wait and see..but it doesn’t look good ?. After speaking with multiple sources at both the IRS, Social Security Administration, and finally with the Consular section of the Romanian Embassy in Washington, D.C. this is what I was told. Short answer is no; if you are drawing on savings, other pensions or your S.S. benefits from the U.S., you would not be obligated to pay taxes in Romania on anything but income from working, while in Romania. This is the number I called at the Romanian Embassy in Washington, D.C. for anyone wanting further information: 1 (202) 232-6634 . 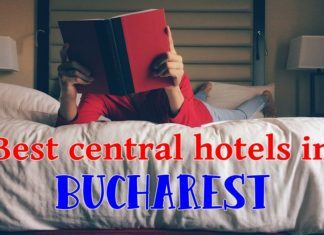 For the time being, there is still no visa needed for your first 90 days there, but you should start the process in Bucharest within the first 30 days after arrival in Romania, and at that time, you can also confirm there that any monies brought in from your U.S. accounts will not be taxed. Again, this is what I was told. Btw, I did the above info on the tax treaties and no double taxation. The confusion for me was over the double taxation, when your S.S. is not taxed period in most of the U.S., however, there are still 13 states that do tax S.S. benefits. Also, for anyone curious about other countries as well, the S.S. administration did tell me, the best way to find out for certain about whether any other country that you’re considering moving to taxes your S.S. benefits, is by contacting that country’s Embassy in Washington, D.C. Thanks all, and please, if anyone reading this finds or hears anything contrary to what I’ve found, please let me know who and what their contact info is, as I’d like to follow up with them as well. The only concerning thing was that most people I spoke to did not sound 100% confident about what they were telling me, with the exception of the gentleman at the Romanian Embassy, who assured me my S.S. would not be taxed in Romania. So, take that for what it’s worth. Thanks for doing the extra research, JC! It’s good to get reassurance that your money stays with you! I am very happy to be wrong and sorry to get everyone excited. Good to have a clearer answer and best of luck with your relocation JC. You saved me 16% in my planning so perhaps i can pop for a beverage some time should our paths cross in Romania. Would be thrilled to here you settle on Sibiu as it is very close to Alba Iulia and a wonderful city near the mountains. You have fun checking it all out. When does the adventure start? Thanks Otto, that sounds good! I hope to start kicking around Eastern Europe by fall and then start the process in Sibiu by spring. Lots could change between now and then, depending on the visa situation and a multitude of other things, so I’m playing it by ear for now. Take care. Today I spoke to my in-laws regarding taxes and living between the United States and Romania. This couple has for over ten years lived half their time in Romania and half in California. They both receive retirement funds and Social Security from the US and get a small pension dating back to work they did back in the old commie days in Romania. As Americans and because of the double taxation treaty, they file and pay only the appropriate income taxes in the US, which, being Californians, includes nothing on their Social Security retirement earnings. In Romania, their pension is too small to be taxed. So, as my father-in-law says, the income from the US has nothing to do with Romania. Only money that would be earned there. I’m satisfied that this, and the footwork done by JC, is the answer to our questions. Whew! Well, thanks to everyone, as it’s been a joint effort from all of you (yes, you too Calin!..lol) providing pieces of the puzzle to help us all feel more confident moving forward that our Social Security and/or most pensions, that either aren’t taxed in the U.S., or are already paid in the U.S., won’t be taxed in Romania regardless. I honestly felt incredible grateful to find such a wonderful & beautiful country as Romania, where it seemed that I could actually live in reasonable comfort on my S.S. alone without necessarily touching my savings, which wouldn’t be remotely possible here in the states. I had prepared myself for attorney & accountant fees to help me file & establish my long term residency visa, etc, but then adding the prospect of another $2,500-$3,000 in taxes was starting to make me reconsider my decision for Romania and possibly look at other places. I’m very happy and relieved to be back on track for my plans to be there semi-permanently by early next year. I still hope to be in Eastern Europe by fall, but depending, after a little roaming around, it may be spring before beginning the actual settling in process in Romania. Thanks again to all who brought this up & got the ball rolling on this important issue, as we can all now breath a big sigh of relief after being reassured.